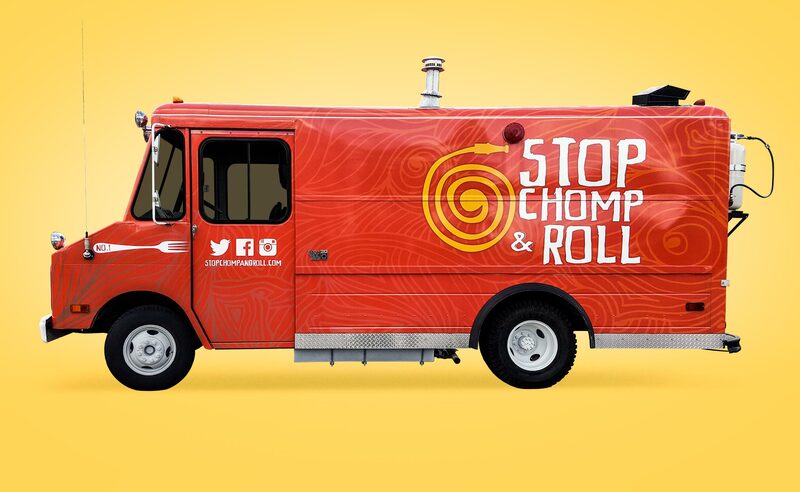 Stop, Chomp & Roll is a youthful food truck business, located in the heart of Western New York. Catering to the average health enthusiast, SC&R specializes in handmade wraps and sandwiches, providing healthy options for anyone who's on the go. 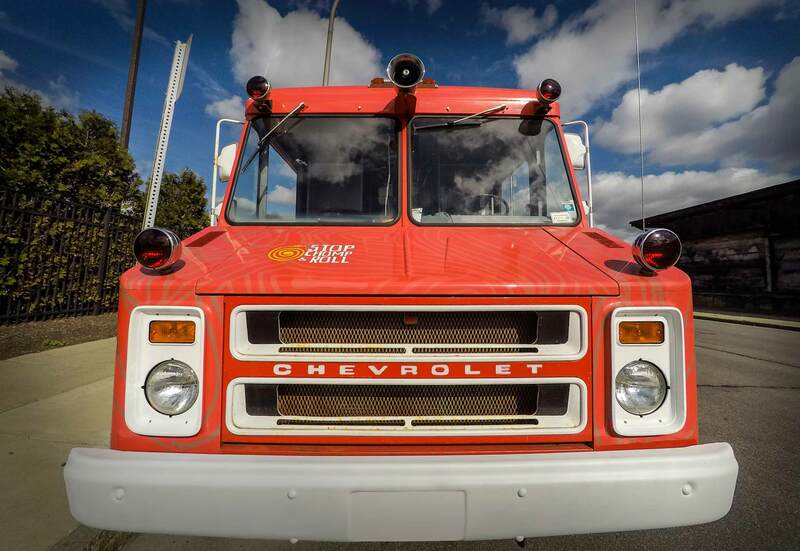 Previously used as a fire utility vehicle for the Knapp Creek Fire Department, SC&R's main objective was to maintain the fire truck theme for the brand. 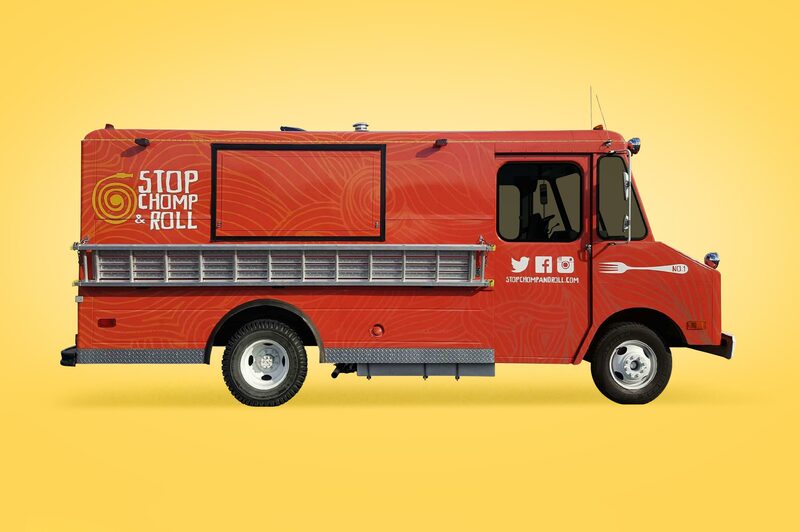 The official logo combines a fire hose and sandwich wrap icon, along with playful typography. 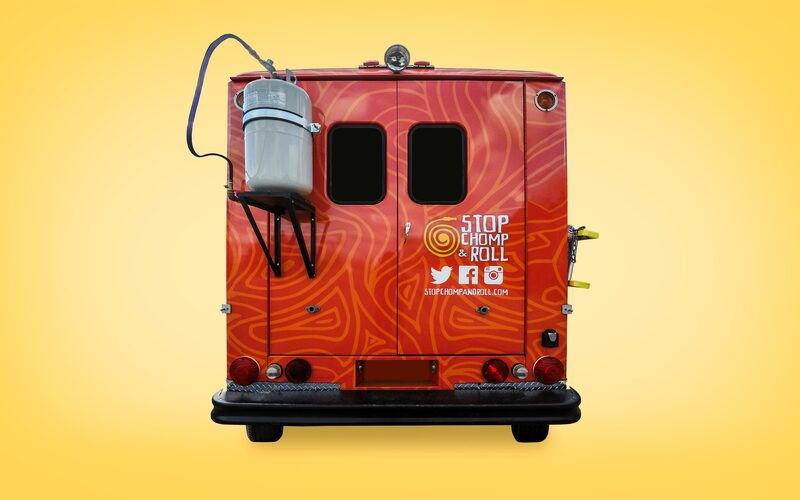 In order to create an eye-catching fiery smoke effect, pen and ink illustration techniques were used throughout the vinyl vehicle wrap. Diamond plate metal was attached to the skirt of the truck, while a metal ladder was repurposed to create a collapsible cafeteria-style tray table on the passenger side.